I don’t think I have ever been so happy to type out a recipe! You know how certain tastes or foods take you back to childhood? 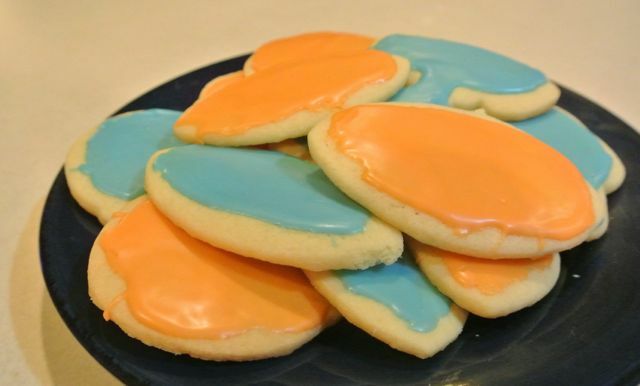 For me, one of those childhood memories is Mary’s sugar cookies. Mom made them every Halloween, Thanksgiving, and Valentines Day. Right around the time that I reached adulthood and launched out on my own, the recipe was lost. I didn’t mind too much until I had children of my own, then I wanted to make the same sugar cookies for them that I grew up on. I searched and searched and searched to no avail. I could not find the right recipe for Mary’s sugar cookies. After 20 years, I pretty much gave up searching. As fate would have it, I was at a used book sale one day a couple of months ago when the spelling of cooky on an old, spiral bound cookbook caught my eye. I picked it up and the book fell open to page 18. 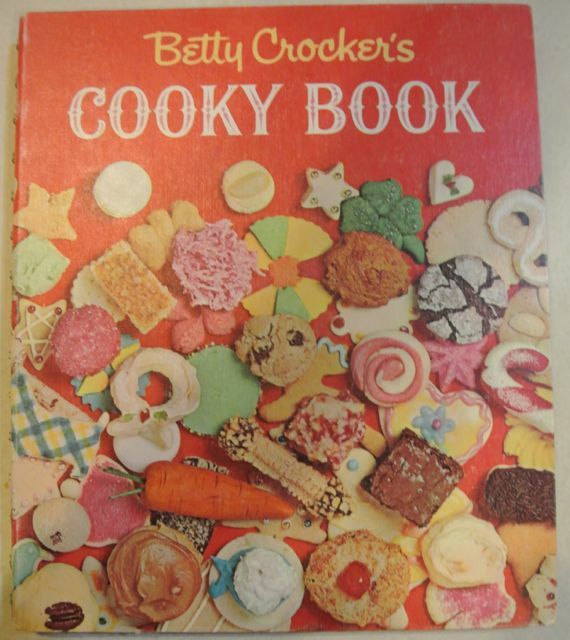 There on page 18 was THE Mary’s sugar cookie recipe that I had grown up on! One of our family Christmas traditions begins in mid-October. We bake a batch of cookies, pop a Christmas movie into the DVD player, and start cutting snowflakes from paper. Making approximately 120 snowflakes to decorate windows takes time, so we start early. This year, instead of making one batch of cookies, I made two half batches, one of Mary’s sugar cookies and one of the sugar cookies that we made during Mary’s recipe’s absence. We had a cookie contest and Mary’s won by unanimous decision! Beat butter and sugar together. Add in egg & flavorings. Stir dry ingredients together. Mix into butter mixture. Divide dough in half. Roll out on lightly floured surface to about 3/16″ thickness. Cut with cookie cutters of your choice. If you want to, sprinkle with sugar before baking. Bake at 375 for 8-10 minutes on a lightly greased baking sheet. Remove from pan & cool. If you did not sprinkle with sugar, frost with frosting or glaze of your choice. I used powdered sugar mixed with a small amount of water & a splash of vanilla. I never measure this, I just get it to the right consistency. Lemon or orange extract works well, too.